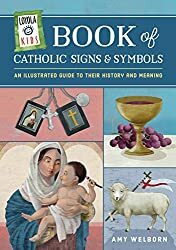 August is devoted to the Immaculate Heart of Mary, which is an entry in my new book, The Loyola Kids Book of Signs and Symbols. I have copies here – you can get them and some of my other titles here. Most entertaining part of my Thursday was, as I was waiting for piano to be over, standing in a hallway of a college classroom building and watching as successive groups of students approach a door and learn that their scheduled exam had been moved to next week. Much leaping, skipping, and, since this is a Baptist school, praising of Jesus! I remember a time when the notion of applying to Duke Divinity School would have been akin to applying to Harvard. Despite his importance, Charles Borromeo is little known and appreciated within the English-speaking world, primarily because few of his works have been translated. This lacuna has now been filled with the publication of Charles Borromeo: Selected Orations, Homilies and Writings. J.R. Cihak and A. Santogrossi have furnished us with a superb edition and translation of some of Charles’s most significant texts. Cihak’s introduction provides a short, but splendid, biography of Charles, and a guide to the historical, ecclesial, and pastoral setting for his writings. There follow four sections, which highlight various aspects of Charles’s work. There is, however, “another bishop.” He “is remiss or negligent in all of these things, or what is worse, does the opposite.” For Charles, his fellow bishops and priests are to be men of the Gospel who love the Church and the people they serve. Above all, they are to be holy shepherds after the manner their supreme Shepherd – Jesus Himself. Thus, Charles displays both his love for his fellow bishops and priests as well as the need to challenge them if the Church and people of God are to grow in holiness. Saying that medieval peasants were “extremely superstitious” is one thing; it’s easy to sneer at abstractions. But if you read medieval records of sick people visiting holy shrines, those involved emerge not as stereotypes but as real human beings: men and women from all classes of society, seeking aid in the extremes of pain and suffering, with stories of self-sacrifice and deep personal faith. From a modern viewpoint, some of their beliefs might seem alien, but their fears and hopes are not. These people and their beliefs deserve respect, and at least an attempt at understanding. All this was a sanctification of the everyday, a vision of a world charged with power and meaning – and for medieval scholars, none of it was incompatible with science or learning. No one would pretend that the medieval period was perfect or that the medieval Church did not have some serious flaws. What’s needed today is a more balanced view, appreciating that the Middle Ages was as complex as any other period in history, and avoiding judgmental, emotive language like “stagnation” and “superstition”. There’s no excuse for it any more. It has never been easier to access information about the medieval past, especially when a few minutes on Google will lead you to accessible websites written by experts on medieval science and religion, not only debunking myths but also providing more accurate information. It’s past time for educators and journalists to move beyond the lazy stereotypes about the Middle Ages. The truth is far more interesting. Homeschooling? Going well, with a couple of interruptions this week. Schools were cancelled here on Monday, and my older son had a delayed opening on Tuesday. The public schools were also closed on Tuesday (it had been a proactive decision handed down Sunday night when no one knew if Irma would impact us – it didn’t much), so the science center homeschool class was cancelled, and then the homeschooler had two teeth extracted on Wednesday….so…scattered. As I noted earlier in the week, my old booklet on St. Nicholas has been brought back into print. Get ready for Christmas – especially if you’re a parish or school coordinator of such things! Celebrate the feast of Our Lady of Sorrows with a (still) free download of my book, Mary and the Christian Life. Get a cheap e-book on Mary Magdalene here – Mary Magdalene: Truth, Legends and Lies. But you can also certainly order it from Loyola, request it from your local bookstore, or, if you like, from me – I have limited quantities available. Go here for that. 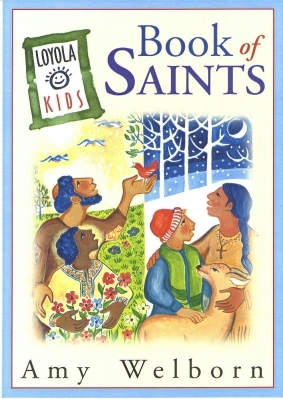 I realized this past weekend that September 1 marked the 15th anniversary of The Loyola Kids Book of Saints. As I said, it was crazy, with tons of life stuff going on. I procrastinated and before I knew it the holidays had sped by and I was facing a March 1 deadline. So I wrote it in six weeks. And it’s still in print, which is great. It still sells well, which is even better. Loyola wanted a book of saints for children and they were familiar with my column-writing, so they invited me to do this. I struggled a while with the organization. I really wanted to make it different from other saints books, which are either organized chronologically through history, chronologically through the liturgical year, or alphabetically. I wanted a more compelling, interesting organizational principle. 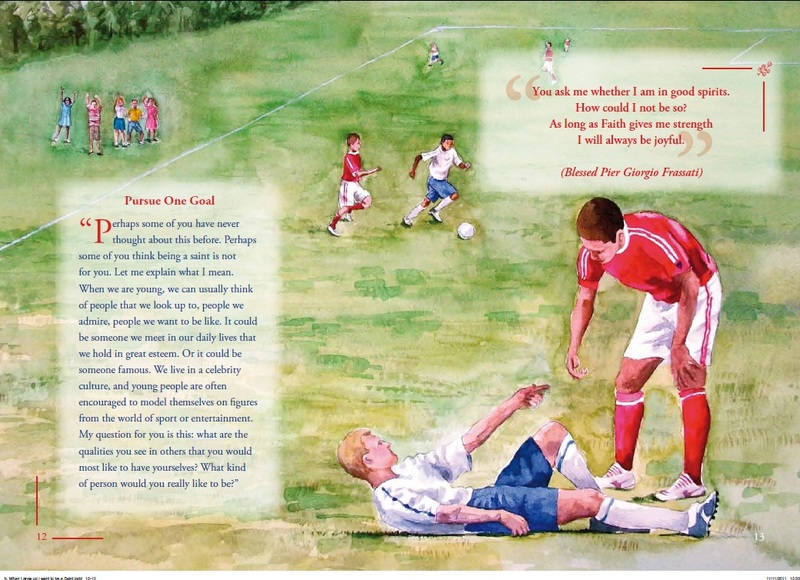 So was born the “Saints are people who….” sections, as you can see below. Good for read-alouds from about age 5 on, independent reading (depending on child) from about 8 on. 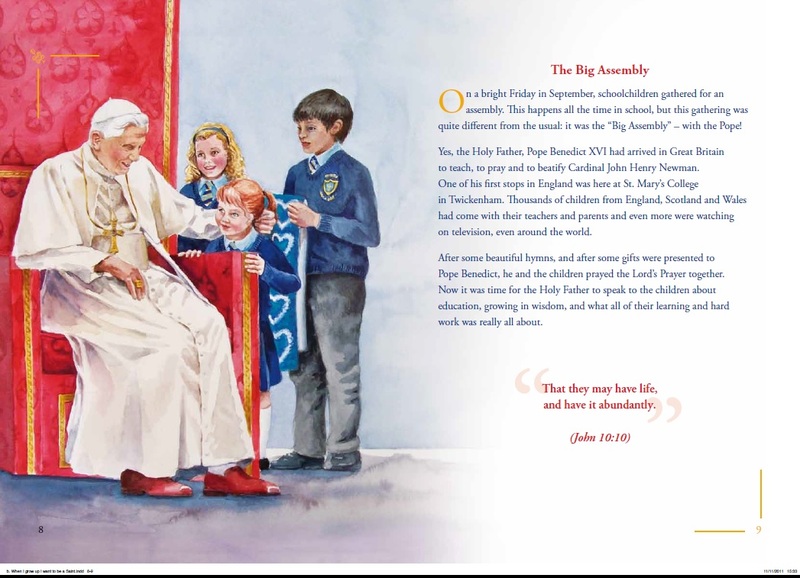 The emphasis is on helping children see the connection between their own journey to holiness and the saints’. 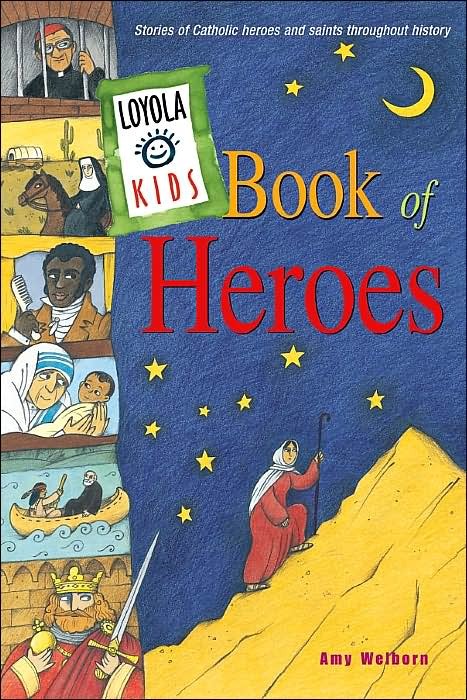 If you have used this (or the Book of Heroes) in any setting – especially the classroom – and have found it useful, would you write a testimony to that fact? We are working on a marketing push for fall 2017, and I thought it would be great to have blurbs from people who have actually used the books. So if you are a parent, librarian, catechist or classroom teacher, have something to offer and are willing to have your name and institution used in marketing materials, please send me an email – amywelborn60 – at – gmail.com – and I will pass it on to Loyola. Simeon Stylites may have heard a vocational call to stay in one spot for most of his life, but his feast day is all over the place, calendar-wise. He’s on the Roman calendar for January 5, although in this country the celebration of St. John Neumann would dominate that day – as if we’d be celebrating a Pillar Saint at all…Various Eastern Christian groups celebrate him on different days, but even though I have him for January 5 in the Loyola Kids’ Book of Saints, I wanted to chat about him a bit today…since Byzantine Catholics celebrate him on September 1. 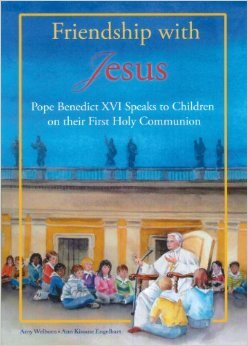 The question might come up – why include this nutty guy in a book of saints for children in the 21st century at all? Isn’t he a little scary and off-putting? Don’t we want the kids to feel that Christianity is normal and fun and won’t make them weird? Nope. Christianity, to take a Chestertonian sort of position, is both the most normal thing in the world and the weirdest. It is normal because it alone reflects the whole of life and reality as it is, but since the World dwells mostly in denial of this reality, yes, Christianity is weird. The sooner kids understand that paradoxical dynamic, the better. Further, Catholic spirituality is all about seeing the movement of grace everywhere. Read the great spiritual writers. They will advise you to seek God in all that happens to you: in those who hurt you, in those who mock you, in suffering and in witnessing what seems strange and even insane. This kind of radical spirituality – dwelling on a platform on a pillar for decades – is unusual, but St. Simeon Stylites was not the only figure who embraced it. There were others, some saints, some not. St. Simeon is important for us because September 1, which coincides with his feast, begins the Byzantine Catholic liturgical year. As you know, Mother Teresa is being canonized this coming Sunday, September 5. I’ve pulled material from several old posts together and gather them here. Some links were dead, but what’s still alive I share with you. First, for children. 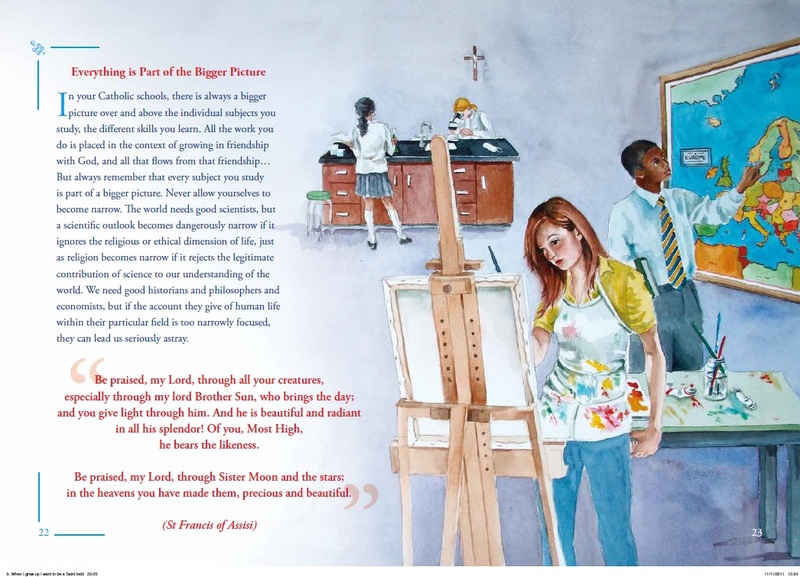 I wrote about Mother Teresa in the Loyola Kids’ Book of Heroes. You can read most of the entry here, at the Loyola site – they have a great section on saints’ stories arranged according to the calendar year. 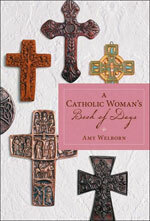 Some of the stories they have posted are from my books, some from other Loyola Press saints’ books. When we think about the difference that love can make, many people very often think of one person: Blessed Mother Teresa of Calcutta. A tiny woman, just under five feet tall, with no tools except prayer, love, and the unique qualities God had given her, Mother Teresa is probably the most powerful symbol of the virtue of charity for people today. Mother Teresa wasn’t, of course, born with that name. Her parents named her Agnes—or Gonxha in her own language—when she was born to them in Albania, a country north of Greece. Agnes was one of four children. Her childhood was a busy, ordinary one. Although Agnes was very interested in missionary work around the world, as a child she didn’t really think about becoming a nun; but when she turned 18, she felt that God was beginning to tug at her heart, to call her, asking her to follow him. Now Agnes, like all of us, had a choice. She could have ignored the tug on her heart. She could have filled her life up with other things so maybe she wouldn’t hear God’s call. But of course, she didn’t do that. She listened and followed, joining a religious order called the Sisters of Loreto, who were based in Dublin, Ireland. 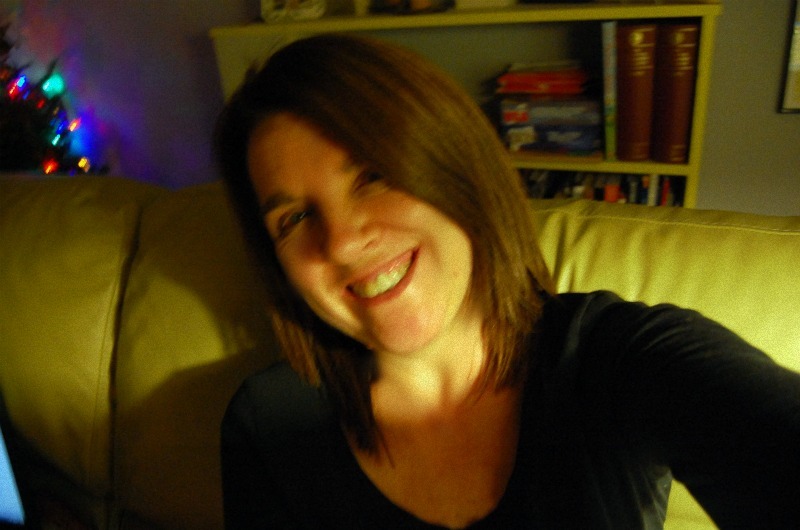 Nine years ago (was it really that long?? 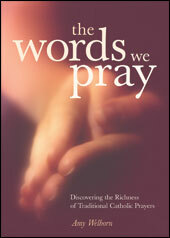 Yes..), when the excerpts from Mother Teresa’s journal detailing her “dark night” were published, I wrote several posts. All have links to other commentary. The first is here. One of the articles I linked there was this 2003 First Things piece. My first post on the story of Mother Teresa’s decades-long struggle with spiritual darkness struck some as “dismissive,” and for that I apologize. That particular reaction was against the press coverage – not the Time article, but the subsequent filtering that I just knew would be picked up as a shocking new revelation and used by two groups to promote their own agendas: professional atheists (per the Hitchens reaction in the Time piece itself) and fundamentalist Protestants, who would take her lack of “blessed assurance” emotions as a sure sign that Catholicism was, indeed, far from being Christian. Michael Spencer at Internet Monk had to issue a warning to his commentors on his Mother Teresa post, for example, that he wouldn’t be posting comments declaring that Roman Catholics weren’t Christian. So that was my point in the “not news” remark. Because the simple fact of the dark night isn’t – not in terms of Mother Teresa herself or in terms of Catholic understanding and experience of spirituality. It is very good that this book and the coverage has made this more widely known to people who were previously unaware of either the specifics or the general, and it is one more gift of Mother Teresa to the world, a gift she gave out of her own tremendous suffering. What strikes me is once again, at its best, taken as a whole, how honest Catholicism is about life, and our life with God. There is all of this room within Catholicism for every human experience of God, with no attempt to gloss over it or try to force every individual’s experience into a single mold of emotion or reaction. Dubiety is inseparable from the human condition. We must waver, because our knowledge comes to us piecemeal, sequentially, in time, mixed up with the static of sense impressions that lead us both toward and away from the truth we try to behold steadily. The truths of faith are more certain than the truths arrived by rational deduction, says Aquinas, because the revealer of those truths speaks with ultimate authority, but they are less certain subjectively, from the point of view of the finite human being who receives them yet who does not, on earth, see them with the same clarity as one sees a tree or a stone or a brook. It should give us Christians pause to consider that when Christ took upon himself our mortal flesh, he subjected himself to that same condition. He did not doubt; His faith was steadfast; yet He did feel, at that most painful of moments upon the Cross, what it was like to be abandoned by God. He was one with us even in that desert, a desert of suffering and love. Nor did the Gospel writers — those same whom the world accuses on Monday of perpetrating the most ingenious literary and theological hoax in history, and on Tuesday of being dimwitted and ignorant fishermen, easily suggestible — refuse to tell us of that moment. In her love of Christ — and the world does not understand Christ, and is not too bright about love, either — Mother Teresa did not merely take up His cross and follow him. She was nailed to that Cross with him. Another post with more links to commentary. A reminder, too, as I pointed out last week, that the very attractive-looking website on “Mother Teresa in the United States” created by the US Embassy to the Vatican does not include any links to, much less text of, her most well-known US-related moment: her speech at the 1994 National Prayer Breakfast in which she excoriated the sin of abortion in the presence of the Clintons and Gores.